While development camp began at WinSport on Monday, the good stuff came Tuesday as the players left behind the exercise bikes and stepped onto the ice for the first time. With the qualifier that you can only glean so much from watching a practice, or "skills development" session as the team calls it, here is a round-up of what I took in from rink-side. Someone forgot to tell these guys that this isn't training camp. For what was supposed to be a skills development session, there was a lot of physical play with a bunch of drills catering to it. While defending a three-on-two rush down his side of the ice, Keegan Kanzig -- just as huge and menacing as usual -- rode 2016 second rounder Dillon Dube hard into that potentially dangerous corner where the glass begins at the end of the players bench. The good news is the corner is rounded at the Joan Snyder Arena, like many NHL rinks. "I've played against him a couple years now, so I knew what to expect," said Dube, still smiling. "I don't think he meant to hit me, I think his stick got caught in my face and then in the extension. It was an unlucky situation and he came and apologized to me so I'm not too worried about it." Adam Ollas Mattsson was also in the middle of a lot of physical play, laying a heavy check on Tim Harrison early on that left the collegian shaken up briefly. A one-on-one puck retrieval drill between forward and defencemen also produced a lot of glass-rattling hits as the competitive juices came out. Not only did prize goaltending prospect Jon Gillies put up two shutouts last year in Stockton in his first seven pro starts, he did so with a messed-up hip. In fact, it's been bad for a while. But after undergoing season-ending surgery last November, he's healthy again and looking good. "For starters, when I come off from practice, I can walk," said Gillies, when asked how the hip feels. It was back in 2013-14 that Gillies originally suffered the injury. "I strained my hip flexor, my second game of my sophomore year at Providence and missed a week and then came back. It just kept getting worse but I never thought anything of it because other guys had injuries and I had never been injured before so I didn't want to take time away from them," said Gillies. But it got worse that summer when he aggravated it in an off-ice workout. "I was doing a sled push and my leg just went numb. I could put weight on it but I didn't have any power or anything like that. Finally, I got sent to check it out and lo and behold, I had an impingement and a torn labrum," he said. But that still wasn't enough to shut him down. "At that point, I would have missed a good chunk of my next year and I knew I wanted to come back for that junior year of college so I didn't want to waste it by being hurt." Injury in the rear-view mirror now, Gillies is now focused on shaking off the rust. Today, he said, was only the 15th time he's been on the ice. "It's about getting the details back in my game," he said. "Since my hip is back and opened up and is pain free, I'm changing back to the way I usually play, away from the limitations I had when I was hurt." Oh, and he's making sure to enjoy himself. Always easy going, I think that comes to him easily. "This week is supposed to be fun, it's the middle of July. You need to have a compete level but have a smile on your face too." Looking good and playing physical was big Swedish defenceman Adam Ollas Mattsson. Entering year two of a two-year contract that will see him play one more season for Djurgardens in Stockholm, the big defenceman is really starting to fill out his big 6-foot-4 frame. So often the big tall kids at this camp tend to look a little gangly on their skates compared to others, a bit of a baby giraffe look with them still growing into their bodies. That's no longer Ollas Mattsson, who turns 20 later this month. He spent most of his 75 minutes wallpapering guys into the boards. "That's the kind of game I want to play, I want to be physical, I want to be at opponents the whole time, this guy who plays pretty rough and gets opponents out of their mind so they want to focus on me," he said. Given he plays overseas in the main Swedish hockey league, Ollas-Mattsson sees development camp as a real important four days for him. "I want to impress the coaches as much as I can because back home, they don't see so many games so this is my opportunity to show what I'm capable of." Lacing up his skates for Sweden at the World Juniors last Christmas was also a nice plus for his own development..
"It helped my confidence a lot. I feel like I'm more confident in myself, what I can do on the ice, I feel better with the puck, I feel stronger," he said. Matthew Phillips really is small. I thought maybe he would look bigger on skates but not so much, at least not while sharing the same ice surface as the likes of Keegan Kanzig, Hunter Smith and Adam Ollas Mattsson. But there's no denying that the product of Bow Valley minor hockey -- same community association that produced new goaltender Chad Johnson -- has skill to burn and he can also really scoot. My wife was recently out of town with the family CR-V, which left me driving around her MINI Cooper for five days. Low to the ground but fast, that's what Phillips reminds me of. Seeing him deftly pick up the puck along the side boards then do a tight turn at the blue-line and go in and take a shot, which was one of the drills, the kid can really dart. But his size? Oh my. On one line rush, seeing him standing side by side with Mark Jankowski at centre ice was hilarious. It was like the minor hockey player at home games that stands on the blue-line besides the Flames starting line-up for the anthems -- only Phillips wasn't holding a flag. But he's determined. In a battle drill in the defensive zone where forward had to retrieve the puck in the corner while fending off an aggressive defenceman, he got paired up against Ollas Mattsson and getting past the big Swede was a big like finding your way out of a Redwood Forest, he competed in once case, they both went down the ice as a result of Phillips determination to get to the top of the crease. "It's been a while, now I play with the older guys," said Mattsson when asked the last time he battled with someone that small. "It's actually pretty good to compete with smaller guys too because they're fast so it's hard for me to keep up, it's still a good workout." After getting the rude introduction from Kanzig, Dillon Dube -- not very big himself at 5-foot-10 -- shook it off and settled back in. He displayed his skill later with a nifty puck-between-the-legs dangle before firing in a goal. "Guys are going hard. American guys are trying to make a spot, make a push for the NHL, I'm trying to fit in but for myself, I have to push them hard too," said Dube, the Cochrane native, who had his mom and dad on hand watching. As the practice morphed into a series of continuous line rushes, a pairing that saw a few reps was Brandon Hickey and Rasmus Andersson. A nice lefty-right defence pairing, one wonders if a few years down the line, that might be a combination for the Flames. Maybe even a top-four pairing. 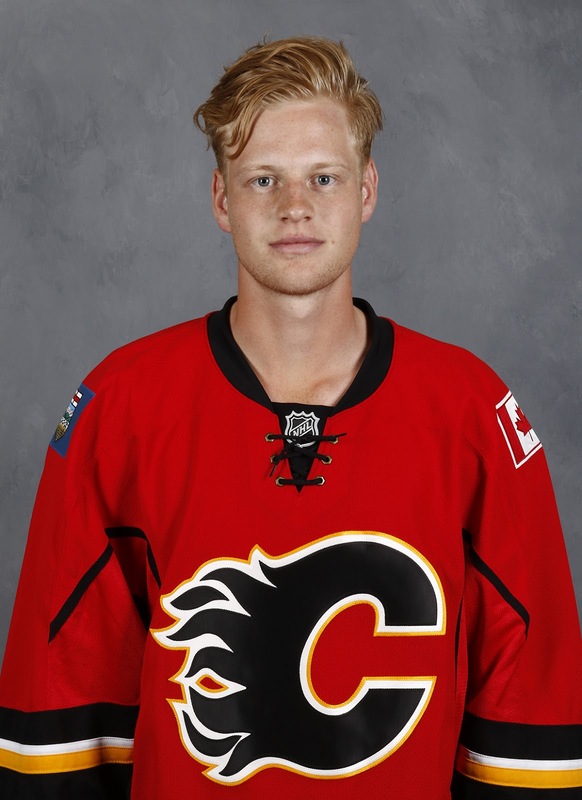 Two of Calgary's top prospects, Andersson will likely turn pro next fall and play in Stockton. Hickey is returning to Boston University for his junior season. 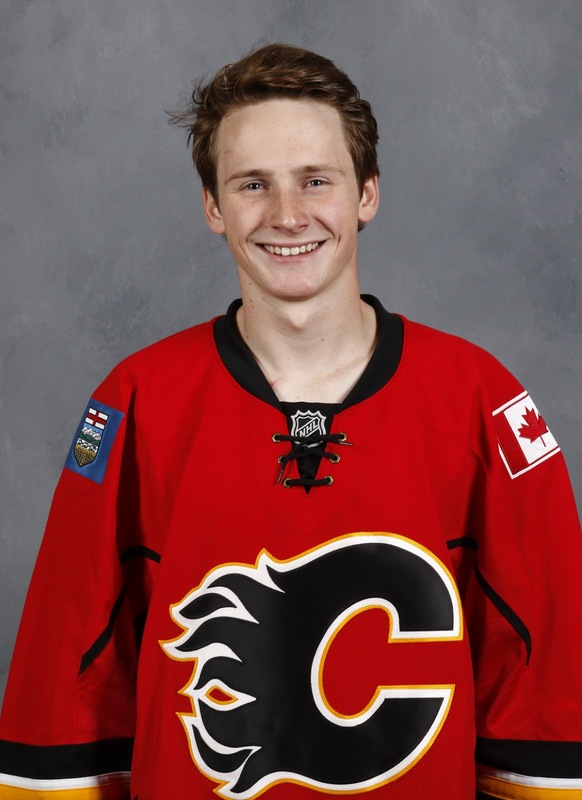 It would not surprise me if Hickey turns pro next summer as the Flames won't be comfortable with a prospect of his calibre returning to school for a fourth year. 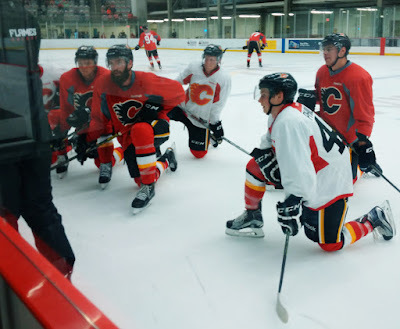 A new face on the ice Tuesday and working with the five goalies at this camp -- all of whom are Flames property -- is new Stockton goalie coach Colin Zulianello. 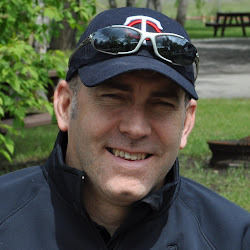 Zulianello replaces Scott Gouthro, who recently resigned from his position for personal reasons. Under the direction of Stockton coach Ryan Huska, Zulianello was joined on the ice by four other of the usual suspects in Stockton assistant coach Domenic Pittis, longtime NHLer Todd Gill -- also an assistant with the Heat, and development coaches Ray Edwards and Ron Sutter. With so much to watch, it's hard to focus in and discern much from the goalies but you can see the intrigue behind Czech goaltender David Rittich, who is a big tall lad, who moves well, and when I was watching, displayed a sharp glove hand in the small-area scrimmage played at the end. 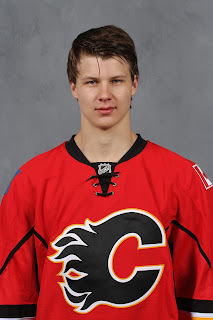 While it remains to be seen how things shake down, conventional thinking is that Gillies and Rittich will play in Stockton and Mason McDonald will play in the ECHL. With 2016 second rounder Tyler Parsons in the system now, it would make sense for McDonald to turn pro to avoid a goalie log-jam. 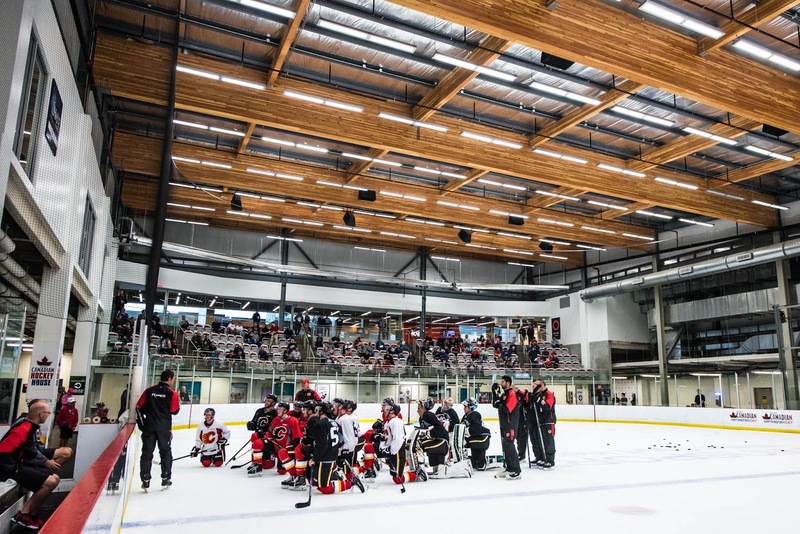 Every development camp, there are a handful of either older or high-profile guys that are counted upon to provide leadership for the guys that have not been at the camp before. 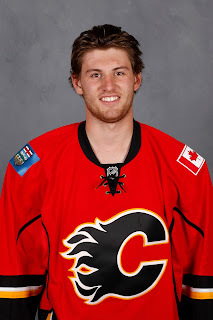 For example, one of those guys last year was Sam Bennett, coming of some NHL playoff experience. The year prior, Sven Baertschi was a guy that had some NHL games and was viewed as a veteran. 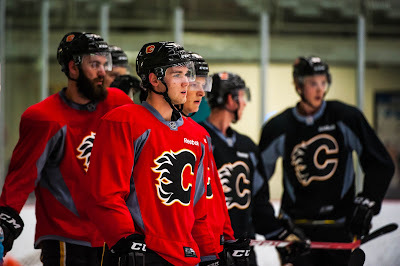 While he has no NHL service time, Mark Jankowski is here for his fifth development camp, and he looks upon himself as one of those this year. A big presence on the ice at 6-foot-4 and 205 pounds, he's trying to have the same impact in the dressing room. "It's pretty crazy, this is my fifth one so I just to take a leadership role. I remember how I felt after my first few camps. So just trying to show everyone around and be a leader." 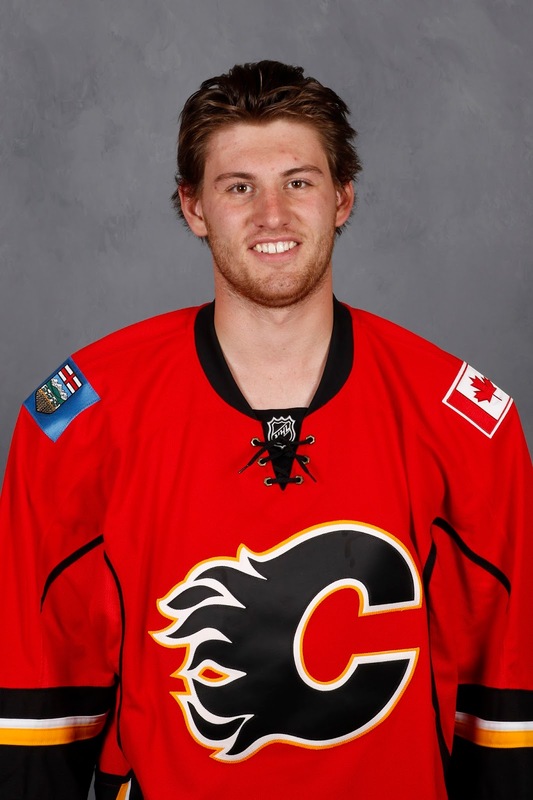 This isn't Brett Pollock's first rodeo, but it's his first development camp with Calgary. The 6-foot-2 winger was part of the trio of assets that came over from Dallas in the Kris Russell trade. "It's a bit different," he said, when asked how Calgary's camp compares with past Stars camps. "It's definitely a higher tempo here and a little bit faster but it's been good so far." There were a few familiar faces in the dressing room though. Last year at season end, he was able to squeeze into three games with Stockton so that gave him a chance to meet the coach staff and some of the players in town this week. "Getting familiar with Austin Carroll, Hunter Smith, Mark Jankowski as well, that helps me being here, gives me someone to hang out with, say hi to some familiar faces, so I think that was really good for me," he said. He also now finds himself sharing quarters with some of his adversaries from the WHL. "Me and Keegs have had some good battles in junior and even Dube and Phillips. It's cool to see those guys off the ice and to become friends with them." Pollock, 20, will turn pro this fall after playing four seasons of major junior with Edmonton where the past two seasons he was the team's leading scorer. "I like to have the puck on my stick, I think I have a pretty good shot, so I like to shoot the puck a lot, and I have good vision," said Pollock, when asked to describe his game. "More of a skilled, bigger forward and I like to use my size down low and take pucks to the net." On the Linden Vey Signing - "Still a young guy, 24, right shot, can play center, can play wing, it's a two-way contract. In Linden's case, he has to come in and earn an opportunity. It adds more depth," said Brad Treliving. "He's still trying to establish himself as an NHL hockey player. He went through some personal, difficult things that are behind him. It gives us more depth in an area that we wanted to add more depth in players with right shot, play centre, play a little bit around the line-up." On Andrew Mangiapane not Participating on the Ice - "Basically, it's a sports hernia. But it hasn't been operated on. 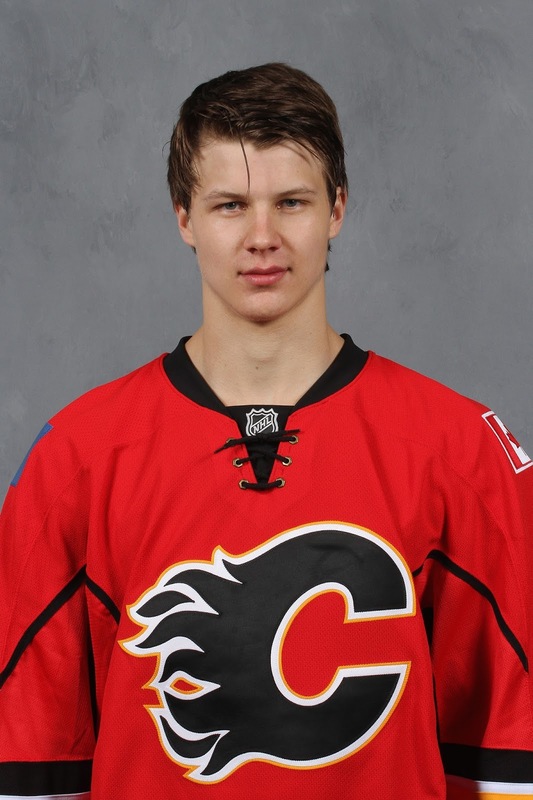 It's just time," said the Flames GM. "We've done some work on it, but it's going to take time to heal it. So he won't be active on the ice this week. We hope in short order, he will be back to his regular training schedule and be ready for camp." 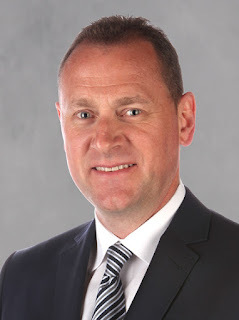 On the Assistant Coach Search - Treliving was asked late in the afternoon if there was anything to announce on the coaching front and he said not at this time. Prompting the question was him being spotted at the arena walking around with head coach Glen Gulutzan, former Senators coach Dave Cameron, and Paul Jerrard, who served as an assistant under Gulutzan in Dallas. Stay tuned. This was a great read to see what we've going on in juniors and on the farm. Thanks for the note. Glad to hear you're getting something out of them.